SHAPE America offers valuable resources and tools to help you guide your students towards a more healthy and fit lifestyle by implementing quality physical education programming. Classroom-ready & teacher-friendly resources you can use right now to help your students on the path to health and physical literacy. 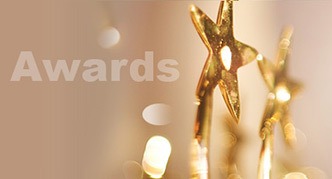 mySHAPE America Community is a benefit of membership in SHAPE America. Educators recognize that a group of students, those who identify as transgender, require our attention to ensure that they have an opportunity to enjoy the benefits of participating in PE in a safe and respectful climate. Recess helps students to achieve the recommended 60 minutes of physical activity that can improve strength and endurance; enhance academic achievement; and increase self-esteem for all children. SHAPE America's cornerstone journal, the peer-reviewed JOPERD has been continuously published since 1896. Appealing to practitioners and academics alike, it reaches 12,000+ readers and provides a greater variety of information on health, physical education, recreation, and dance issues than any other publication in the field. 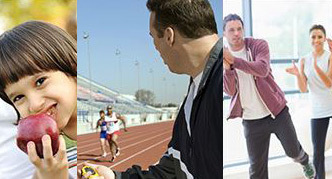 RQES publishes research in the art and science of human movement that contributes to the knowledge and development of theory either as new information, reviews, substantiation or contradiction of previous findings, or as application of new or improved techniques. RQES also publishes research notes and a dialogue section. The only refereed journal of its kind to cover today's health education and health promotion issues head on with timely, substantive, and thought provoking articles for professionals working in medical care facilities, professional preparation, colleges and universities, community and public health agencies, schools, and businesses. Published 6 times a year, Strategies is SHAPE America's popular bimonthly journal which delivers practical ideas, how-to information, and tips for sport and physical educators. The Essentials of Teaching Physical Education helps future teachers prepare to use the teaching for learning approach to K-12 physical education. In line with SHAPE America Standards and Grade-Level Outcomes, this text will aid teachers in acquiring the skills and knowledge they need in order to develop physically literate students. Health and Physical Education for Elementary Classroom Teachers will help teachers who might not have specialist training to deliver innovative health education and physical education lessons and concepts into their classrooms. It covers both subjects in one handy resource and is aligned with national health education, physical education, and state-specific academic standards. Lesson Planning for Elementary Physical Education offers expert guidance in implementing lessons and curricula that are aligned with SHAPE America’s National Standards and Grade-Level Outcomes. The plans are flexible, reflect best practices, and foster the achievement of physical literacy. Teaching Fundamental Motor Skills, Third Edition, shows you how to teach essential motor skills. 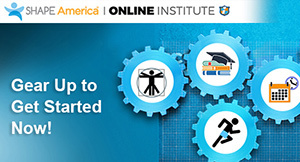 The skills are aligned with the SHAPE America National Standards and Grade-Level Outcomes. Each skill is animated to aid learning, and a web resource offers multiple materials to assist in your teaching. Momentum is SHAPE America's member magazine. 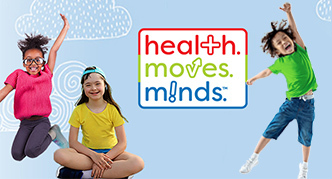 Published three times a year, Momentum brings insights and ideas to the health and physical education community, including classroom tips, professional development resources, advocacy news, research updates and more. 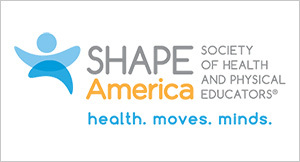 SHAPE America’s biweekly email newsletter delivers timely health and physical education news and information right to your inbox, including free access articles, professional development resources, the latest research, and more. Subscribe to Measurement in Physical Education and Exercise Science (MPEES) for the best research, test reviews, tutorials, commentaries, and discussions of theoretical and methodological issues in measurement and statistics as they apply to physical education and exercise science. 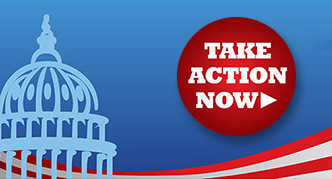 Momentum is SHAPE America's member newsletter. Published three times a year, Momentum provides the latest SHAPE America news, people on the move, upcoming conferences and workshops, and new initiatives. Et Cetera is a weekly email newsletter that disseminates current information from national print and electronic media on a variety of topics relevant to SHAPE America and health and physical educators. ISCJ is a joint venture of SHAPE America and the International Council for Coaching Excellence (ICCE), published by Human Kinetics. Its mission is to advance the profession of coaching through research articles, informative essays, experiential accounts, and systematic applications.